LISBON — State Rep. Tim Ginter is supporting legislation that would reduce state funding for communities by $1 for every dollar in fine revenue generated by traffic cameras. The Ohio House passed a bill two weeks ago that would not only reduce Local Government Fund (LGF) payments to communities but also require appeals of traffic camera speeding tickets be heard by a county municipal court judge instead of an administrative appeals officer. The bill, which is now in the Ohio Senate’s transportation committee, was introduced by state Rep. Bill Seitz, R-Cincinnati. Ginter (R-Salem) was among those who voted in favor of the bill, despite the fact three communities in his district — East Liverpool, Wellsville and Liverpool Township — began deploying traffic cameras the past year. “I know this is a sensitive subject … It was a tough vote for me,” he said. The bill eliminates the administrative appeals process and instead requires appeals to be heard by a municipal court judge. The other major provision would require communities with traffic cameras to report to the state how much in fine money was generated by cameras, with the amount deducted from the community’s annual LGF allocation. LGF is a form of state aid to cities, villages, townships and county commissioners, with the money coming from various state taxes. 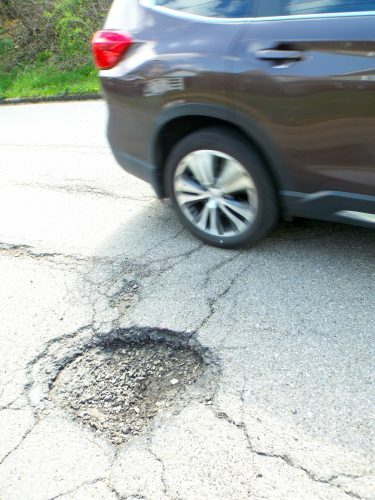 The communities that have gone to traffic cameras say they are doing so for safety reasons, but neither East Liverpool, Wellsville or Liverpool Township requested a traffic study of its roads be performed by the Ohio Department of Transportation. “The question is, is this being done for safety or is this being done for profit?” Ginter said, adding the decision to deduct LGF money from these communities will put that to the test depending whether there is push back from communities. Ginter said he spoke with East Liverpool Mayor Ryan Stovall and Liverpool Township Police Chief Jayson Jackson about his support of the bill to let them know where he was coming from. He said both indicated they will make more from traffic cameras than LGF. In East Liverpool, for example, traffic cameras generated $250,000 the first month, but it has dropped off since. The 2018 city budget projects traffic cameras will still generate $600,000 this year. East Liverpool’s LGF allocation this year is an estimated $88,000. The 2018 LGF allocation for Wellsville is $38,000 and $41,000 for Liverpool Township. The money deducted from LGF allocations would go to ODOT’s roadway enhancement safety fund. Ginter said the use of an administrative officer to handle appeals instead of a judge bothers him because he is unsure whether an administrative officer can be viewed as completely neutral. A colleague from the Columbus area described the administrative appeals as “kangaroo courts” where those who receive a ticket are not afforded the same rights they have in a court. The way it works now is the traffic offender would have to appeal the administrative officer’s ruling to municipal court, which has occurred, but few have made it all the way to a hearing. East Liverpool Municipal Court heard its first such appeal hearing last week. 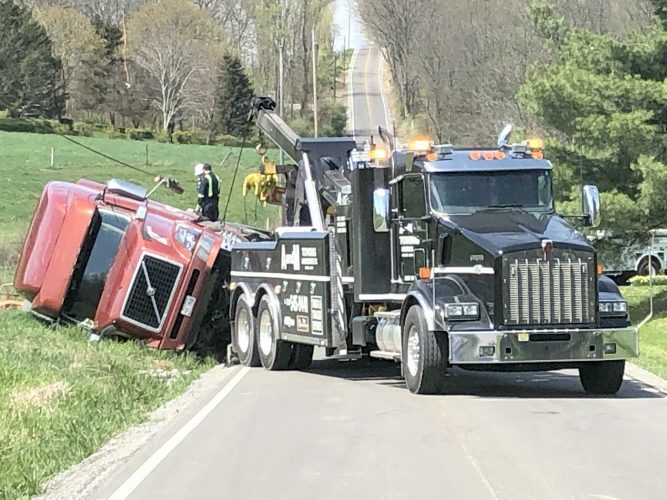 Ginter said he was also motivated by the numerous complaints received from constituents who feel the use of traffic cameras was done for the sole purpose of creating speed traps, especially on state Route 11 where the speed limit drops from 70 mph to 50 mph at East Liverpool city limits. This was in place years before the traffic cameras arrived, however.